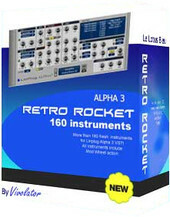 Le Lotus Bleu has announced the release of Retro Rocket, a collection of patches by Vivolator for the Linplug Alpha 3 virtual synthesizer plugin. Enter the Golden Age of the 80’s and DCO synthesizers with Retro Rocket. 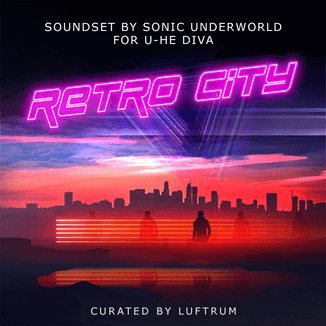 Each preset of this collection have been surgically designed by Sound Designer Vivolator to offer you the precious vibes of the 80’s, as well as many additional instruments for modern Club genres, making the best of Alpha 3 incredible oscillators and special features. This Soundset is suitable for the following genres : Synth and Brit Pop, Funk, Soul, Pop and Rock, Song Writing, 80’s and 90’s music genres, IDM and Modern Club Music. 160 instruments, clearly organised in thematic categories. 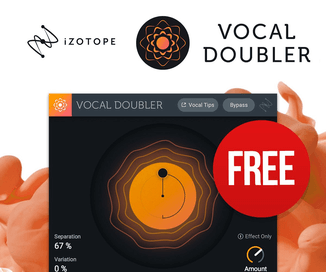 Highly expressive instruments, with many real time expression features ( Mod Wheel, Aftertouch ). CPU Friendly instruments, all playable on a reference PIV Single Core 3 Ghz Computer..
Comes in two flavors for Full Weighted Keyboards, and MiniKeyboards like Korg NanoKeys for a complete playing pleasurable experience. Retro Rocket is available to purchase for 14.50 EUR.